Simple, sweet and straight from Scripture— that’s the theme of this week’s Tattoo Tuesdays. 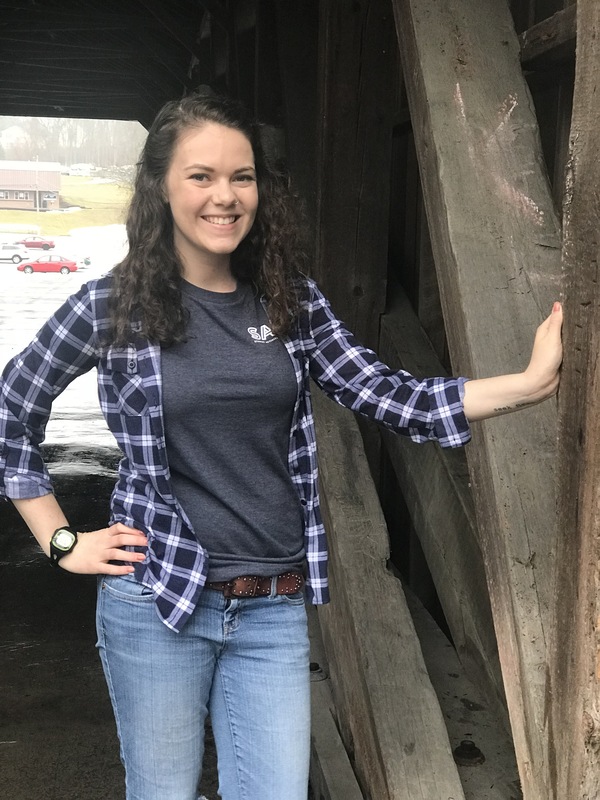 Junior psychology major Becca Ford told us all about her tattoo displayed on her forearm as a priority reminder to her and everyone who sees it. 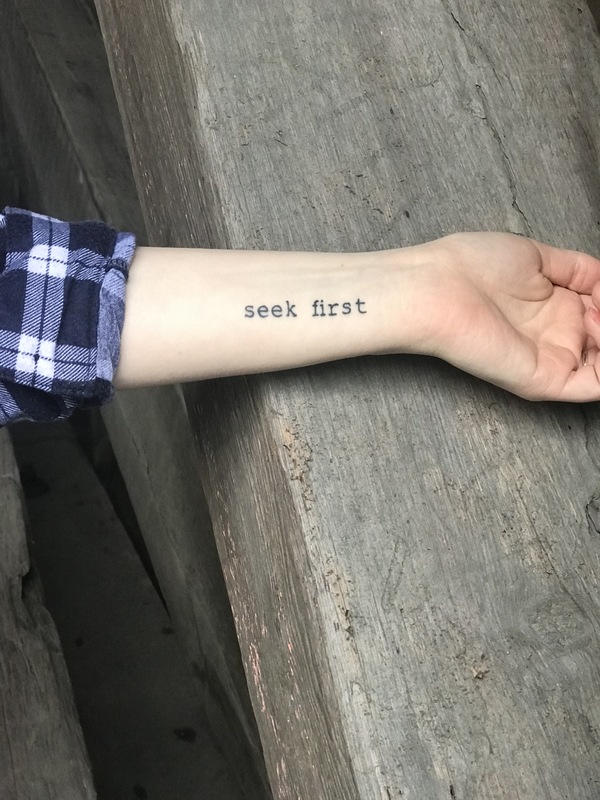 I have one tattoo— “seek first” in typewriter font on my wrist. It’s a reference to Matthew 6:25-34, which focuses on not letting anxiety overtake life. I wanted a tattoo for a long time, but not until I found something with a meaning that would last longer than a few months. I chose these two words both because it could serve as a way to witness to others and because it reminds me to not allow my anxieties to get the best of me. Like so many college students, anxiety in trying to balance school, work, friends and other activities started to get the best of me. Things got a lot better once I realized all the stress is temporary; ultimately, God’s got it. Matthew 6:33 has been my life verse ever since then, and these two words on my wrist help keep it at the forefront of my mind. When and where did you get your tattoo? I’m a pretty spontaneous person, so I got this tattoo at the 717 in Columbia last summer because they were taking walk-ins. It could not have been more relaxed. The tattoo artist sketched what I wanted, printed a stencil, set my arm on a table and got to work. The Office was playing in the background, and, as a big fan of that show, I took it as a sign that the tattoo was going to turn out great. The only awkward bit was the positioning of my arm, as it put my hand directly into the center of the artist’s very impressive beard. While there was definitely some pain, it wasn’t unmanageable. In addition to focusing on not moving my hand in the tattoo artist’s beard, my friends Sarah O’Boyle and Katheryn Yoder did a great job at keeping me distracted from the discomfort. Do you want to get any more? Absolutely! Once I have an idea that sticks for a while, I’ll probably get another. Right now, I’m thinking an outline of my home state of Virginia, but I’ll see what I think of that in a few months. What’s something you want people to know about getting tattoos? 10 out of 10 would recommend to a friend. I loved the experience and the outcome so much, I even convinced my mom to get her first tattoo. It is something that should be taken seriously, but don’t let fear get in the way. Be confident in yourself and your decision, and go for it!